Uglyworld #1867 - No Mores Please! - (Project Cinko Time - Image 75-365), a photo by www.bazpics.com on Flickr. Babo: "Oi's, you, gives me my jacketer backs!" Cinko: "What is you talkerings about, it's my jacketer!" Babo: "I'm going to counts to tens, then I won't be accountablers for my actioners!" Cinko: "Counters away, is my jacketer!" Babo: "Gets your smelliers flipper out of my face!" 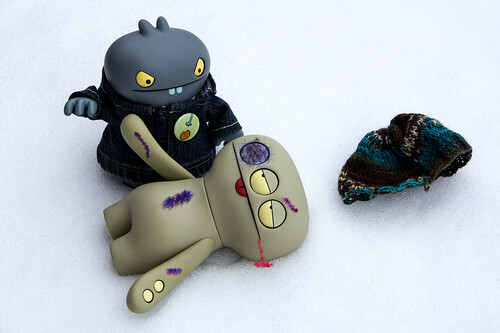 Babo: "And don't touchers my jacketer again, or elsers!" Cinko: "Aooooowaaaa, where ams I?"